3 Cheese Everything Spice Grilled Cheese. Apparently, I am all about comfort food this week, and this 3 cheese everything spice grilled cheese is no exception. Reason one: the weather here in the mountains has been incredibly stormy this entire month, like I’m talking ever since I got back from Mexico on July 6th. As I type this it is thundering, lighting, and pouring rain (and also freezing). Meaning it’s totally comfort food time. Reason two: as most of you know my grandma passed last Thursday night. Even more so than the weather, her passing has left me in the comfort food state of mind. Plus, Nonnie loved a good bowl of pasta, a plate of waffles, and most definitely a grilled cheese. Maybe this is my way of paying homage to this very special lady I am missing so incredibly much this week! 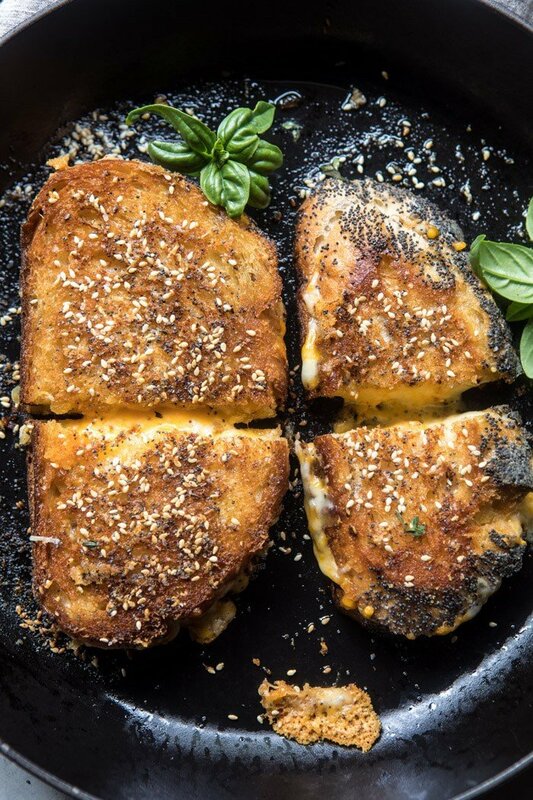 It’s really not like any other grilled cheese you’ve ever had…it is better. While that’s probably a bold statement, I feel pretty confident saying it. Um? Hello? Three cheese. Everything Spice. Bread. Butter. All melted together. Yes, this is what all Wednesday food should look like. I can’t really remember just when I thought up this grilled cheese. 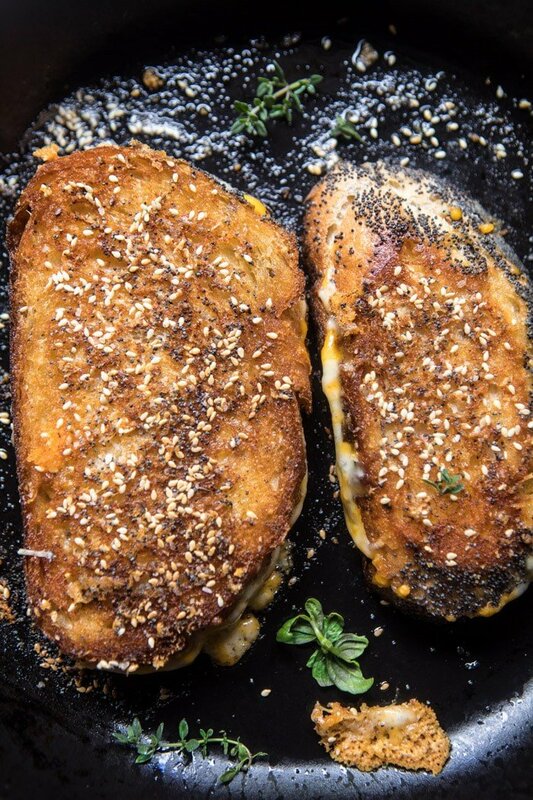 I know it was at least a couple of weeks ago, but for the life of me I cannot put a finger on just what it is that made me think to sprinkle everything bagel spice (which is a simple mix of sesame seeds, poppy seeds, onion, garlic, and salt) over my grilled cheese. And yes, I might be a tad bit addicted to everything spice at the moment…see last weeks mac and cheese (again, more comfort food…at least I also posted salad last week too). Anyway, regardless of how this recipe came to be, I am SO happy it did. Because not only is it easy, it’s delicious. Like the best grilled cheese I’ve ever made, or had. Yes, the best. Here’s the thing about grilled cheese sandwiches, for the most part, they should be made fairly simple. I’m not too into the over the top combos. This is mostly because I love a classic grilled cheese with bread, cheddar, and butter. The thought of adding everything spice though? Oh my gosh, it was just too good to resist. First things first…the cheese. I used sharp cheddar and havarti (fontina would be great too). I love, love, love this combo. The cheddar adds the bulk of the flavor, while the harvarti acts as the super melty, ooey, gooey cheese. Yummmmm. Next up…the bread. 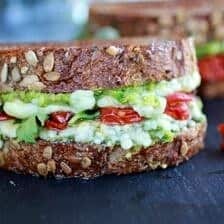 Sandwich the two cheeses together using your favorite bread. I bought some really good seeded sourdough from Whole Foods that I thought was a pretty good pairing, but use your favorite loaf. 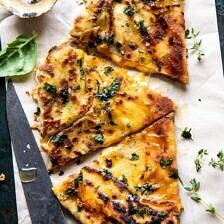 Next, butter the outside of the bread, sprinkle with parmesan (the 3rd cheese) and everything spice, and add to a skillet to cook until the cheese has melted and the crust is deep golden and crunchy. Melted cheese + everything spice = perfection on so many levels. And lastly, this grilled cheese sandwich proves that sometimes it’s the simplest things in life that truly are the best. ps. part two of this recipe is coming tomorrow…because all grilled cheese sandwiches need to be dipped into something! 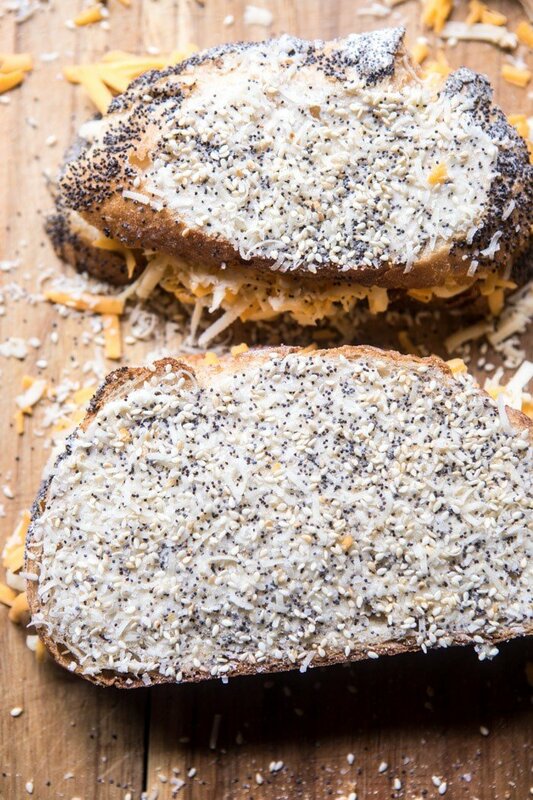 Level up your grilled cheese with my Everything spice! 1. Heat a large skillet over medium heat and a pat of butter. 2. Spread the outside of each slice of bread with butter and arrange the cheddar and havarti cheese on each side of the sandwich. Sprinkle the parmesan and everything spice over both buttered sides of the bread, pressing the spice mix gently into the bread to adhere. 3. Place the sandwiches, one at a time, in the skillet and cook until golden on each side, about 4-5 minutes per side. 1. Combine everything in a small bowl or glass jar. Keep stored in a cool, dry place. If needed, season to taste with more salt. If only all Wednesdays could include a grilled cheese like this…ah wait, they can! Love comfort food (: SO happy you like it ALice! I absolutely LOVE everything bagels and can’t believe I don’t have a blend of what makes them tasty yet! 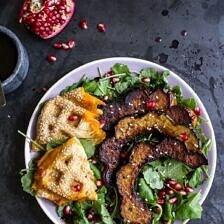 This looks so good and I will be making it soon for sure. 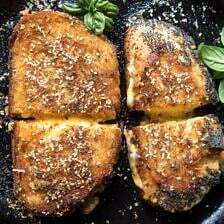 I like to sprinkle herbs on the buttered bread for grilled cheese, it adds a ton of flavor. YAY so perfect these will hopefully be your favorite!! Thanks Amber means a lot! Over the moon, Tieghan!! Looks totally amazing! 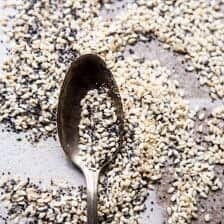 I always choose the everything bagel for any type of cold or hot sandwich, so I will definitely be making the spice blend and using it often! Thank you so much Leah!! I hope you love it!! The doctor wants me to cut back for awhile but come some cold snowy day in winter I’m getting this recipe out and making it. Ah yes!! This will be so perfect for a snowy day! Hope you love it. I’m so sorry about your grandmother. I’m not sure how I missed your post on Sunday as I always get them. There isn’t much to help with such a loss but making comfort food at least gives you something positive to do and share. I love how this grilled cheese is amped up with the everything spice. Comfort food is everything and i’m loving the everything spice, hope you do too! 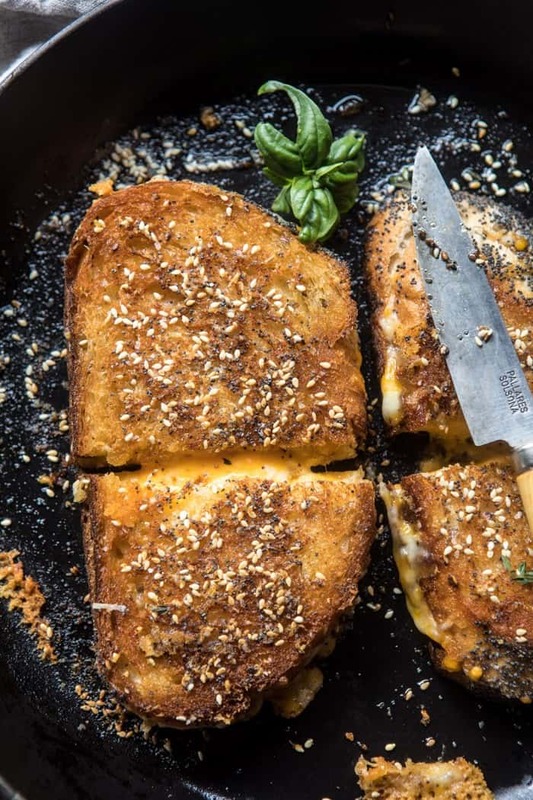 It’s amazing how something so simple as a grilled cheese can be so delicious and comforting. 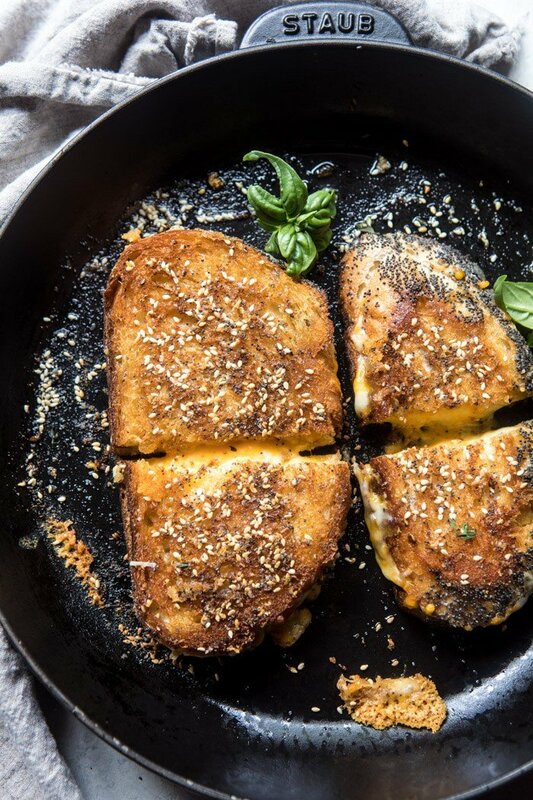 The sound of the pan fried parmesan has me wishing I had parmesan in my fridge right now, and that cheddar and havarti combo…. YES please!!! I’m sorry about your Grandma. BRAVO!!! Well Done!! And, so sorry to hear about your grandmother! The Everything Bagel spice mix is genius – I love those bagels…just make the mix and store…duh! 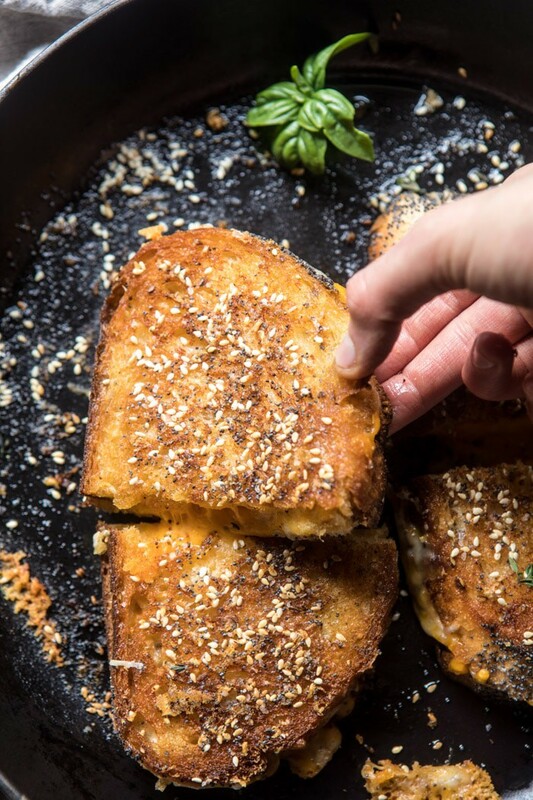 More genius is to smash it onto your grilled cheese and get all that texture, crunch and flavors. Tieghan, my computer has been down and out for almost a week and was so very sad when I read about your sweet Nonnie; just so very sorry and sincere condolences to all of your family. Some lovely ideas of how to keep her beautiful memory alive. For certain, you are doing so by way of your amazing cooking skills and taking care of people you love. I am sure she was amazingly proud of you. Bless your heart. Thanks Tammy, I love them too! Awh your so sweet, I really appreciate it Tammy. She was an amazing women!! Thank you! 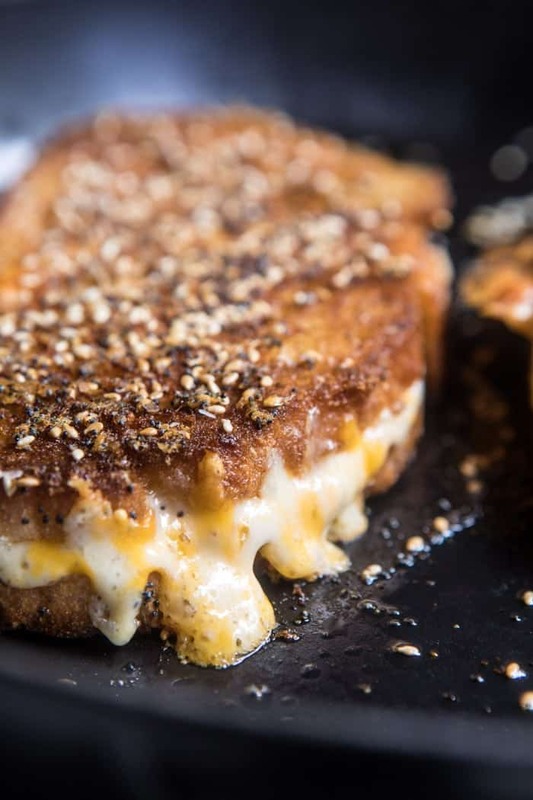 I’m all about a really good grilled cheese sandwich, and the spices give it a more adult vibe. I’ll have to try this the next time I’m in the mood for comfort food. Also, I’m so sorry to hear about your grandmother’s passing. My thought are with you and your family during this difficult time. I hope you love it Alice! Thank you it means so much to have your thoughts at this time! Awh, that means so much to me! Thank you so much Laura! Hi Gia. Thank you so much for these sweet words, it really means a lot! Thinking of you and your family… thankfully time does help, and you’ll have those memories with you forever! Oh no! Sorry that happened, but I am really glad you all still enjoyed the recipe! Thank you so much Libby! Awesome way to elevate grilled cheese! Looks decadent. I am so sorry to hear about your Nonnie. I think sharing some of her favorite foods here is a great way to honor her. On the upside, I have been craving a grilled cheese for days. This is a sign that I should give in to that craving. Thanks! Thank you me too!! Her food was/is the best! I think it is a sign haha! Thanks for the recipe! I have to try it since I have the ingredients. Bought the Everything Bagel spice from Trader’s Joe some time back and I have not used it. Ah perfect recipe to use it! Hope you love them, thanks Eileen! Hey Dean, so it sounds like it might have just been too much salt for your taste…sorry about that! I am going to adjust the recipe a bit. As for cooking, the key is to let the grilled cheese get deep golden (think just before it’s burnt stage) before flipping. Also, use a thin, metal spatula. 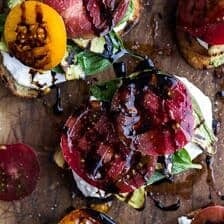 This worked really well for me and it was delish! Sorry for the trouble, but so happy you did enjoy the soup! Let me know if you have other questions. Thank you! Just made the grilled cheese along with the Roasted Tomato Soup last night. SUCH COMFORT FOOD and soooo delicious,. My daughter didn’t want the seasoning on top so I made the recipes exactly as written but left out the spice mix – I did add the parmesan. My husband and daughter thought it was the best grilled cheese they ever had and they adored the soup. Lots of dunking and groans of happiness were happening. Thanks for another WINNING recipe! Wow that is so amazing! I am so glad you and your family loved this recipe so much! Thank you Rose!